An early evening visit, with a good crowd (peaking perhaps at a dozen people) crammed into the tiny space. One beer is available via keg and there are six or seven different bottled types in the fridge. Muswell Hillbilly - Avenue Mews 6.10 Poured from a bottle. A really good Black IPA. Plenty of roasted barley flavours plus bitter hop. Muswell Hillbilly - IPA 5.50 From old-style keg dispense with the accompanying drawback of excessive carbonation. In much better form however than the cask version I drank a couple of weeks ago. That was yeasty, this features a bitter English hop flavour. The pub is found in Muswell Hill, Greater London, N10 3NP. 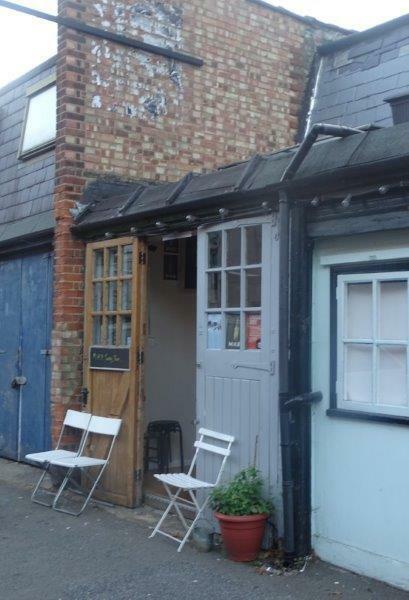 A small, and dare I say cute, little Taproom attached to the Muswell Hillbilly Brewery. 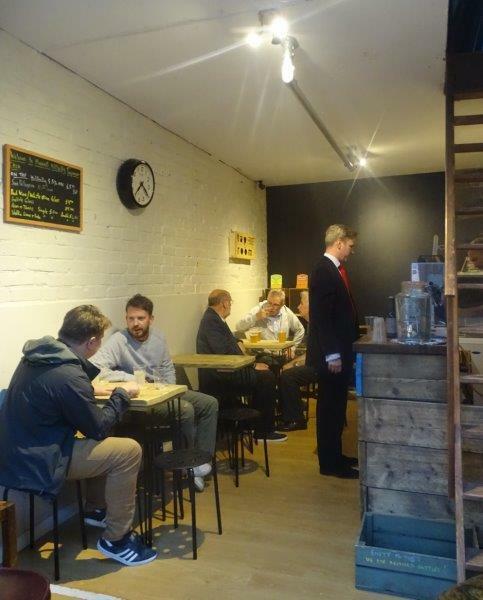 It is located in a mews just behind Muswell Hill Broadway and opens at weekends. There are three or four tables, with a couple of chairs put outside if the weather is fine. Muswell Hillbilly’s USP is that all their hops are grown in London N10 gardens and other ingredients are sourced as locally as possible. We have visited this pub once, seen 2 different beers and tried both.